Greg Nimmo, owner, started out thinking that Corney Keg was just going to be a way that he could generate some extra income to support his beer making hobby. He was pleasantly surprised when saw the initial sales results and started to realize the full potential of his new eCommerce website. 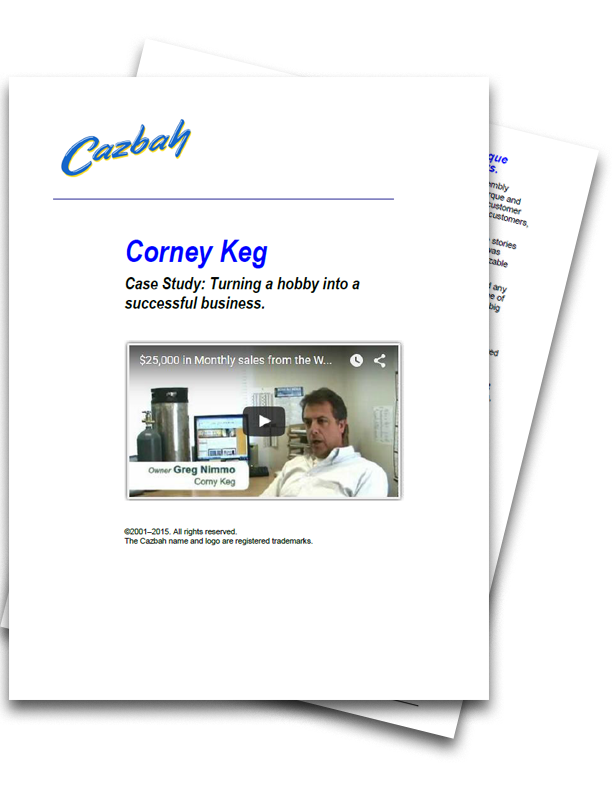 Cazbah designed and built Corney Keg’s new, responsive website and took care of all of the internet marketing related activities, an area that Greg admits he’s no expert in. Website content and navigation was specifically geared towards Corney Keg’s target market, the home-brewing enthusiast. Giving potential customers the ability to find exactly what they were looking for, in as few clicks as possible, was the highest priority. Equally important was getting those same website visitors to put those products in their shopping cart and process the order.